You can claim your baggage at Birmingham Airport at baggage claim bays located on the lower level of the terminal near the Information Desk and the Airline Baggage Service offices. 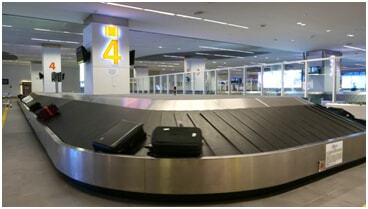 You can retrieve your luggage from carousels; there are four carousels for luggage claim. If you don’t find your baggage on carousels, you immediately contact your airline or their baggage handling agents for complaints. You can contact customer service for any damage and call on Birmingham airport lost property phone number. If you find and difficulty and need assistance, you have to contact the appropriate airline baggage office; you will find the numbers on the dashboards as well as on the individual airline ticket counter. Birmingham Airport authorities take enough care that your luggage is intact and available to you, but still in case if your baggage is missing, lost or damaged, you can contact The Birmingham Airport Lost Property service. All items lost in the terminal and on airlines are brought to Luggage-Point at the airport and stored securely there. These items are logged into their online Lost Property search engine at www.airport-lostproperty.com. You can look for your lost items there. When you claim your lost luggage, you will have to pay repatriation fee for each item processed as lost property as they thoroughly check it, try to locate contact information to find the right owner and for storage and administration charges. If your baggage is found, but you can’t collect in-person, there are different alternatives offered to get it. You can nominate your friend or relative to collect the luggage and inform about it to them. You also need to submit a form of ID (passport/driver’s licence) for authorization. If it can’t be collected in person, luggage point can ship it to the address specified through their shipping & courier service by paying applicable shipping costs and the relevant retrieval charge. If collection or shipping can’t be arranged, luggage point can store the items in their storage facility securely for a period of up to 42 days. You can contact luggage point at 0330 223 0893. 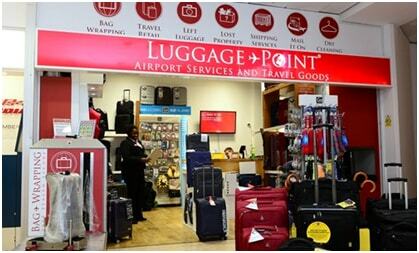 You also can write an email to birmingham@luggage-point.co.uk. You can visit https://www.luggage-point.co.uk/left-luggage/ to view details of Luggage-Point’s storage service. If you have left any item on the plane, it may be with your airline. You can contact the airlines.